If there is one thing that Las Vegas is famous for, its throwing a fantastic party! 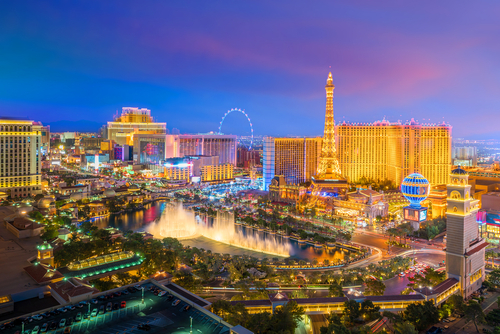 All up and down the world-renowned Las Vegas strip, hotels are competing for the #1 position, and doing everything in their power to get your business. The landscape of Las Vegas is perpetually changing, and breathing life into the old and the new. Since our last guide of top party hotels las vegas last year, there have been some notable changes you should be aware of when planning your pilgrimage to the party capital of the world. The world-renowned Palms hotel casino is known for being a no holds barred party playground. Recently they underwent a $620M renovation, giving a facelift to the already prime party location. They are now home to some of the most unique and expensive art collections from Damien Hirst, Basquiat, Warhol, and Takashi Murakami. Walking into the Palms is like walking into a modern art exhibit. The Palms also offers fine dining at Scotch 80, delivering an unparalleled luxury dining experience, perfect preparation for making your way 55 floors up and taking in the view from the sophisticated and upscale Apex Social Club. You can pop bottles, or just grab a cocktail and enjoy a one of a kind, 360 degree, Las Vegas view. Winner of the most Forbes 5 star awards in the world, The Wynn resort is the premier Las Vegas luxury party destination. The Wynn and Encore boast a luxurious, sophisticated, and tasteful design, along with a level of service that is unprecedented. Condé Nast Traveler magazine has named Encore the best hotel in Las Vegas. Both properties also are home to more Forbes Four-Star award winning fine dining restaurants than any other luxury resort in the country. Nightlife venues like Intrigue, XS, and Encore Beach Club host the largest names in the DJ world, along with incredibly hot entertainers and over the top spaces. If you are looking for a wide variety of entertainment in one spot, and want to keep the party rolling into wee hours, then MGM Grand has everything you need. Their one of a kind, and outstanding Top Golf facility is a great way to unwind and pre-game before you embark on the ultimate nightlife experience inside Hakkasan. Wet Republic pool party is one of the top rated and best day club parties in the city, and a great way to soak up some sun and meet some beautiful people. Nurse any hangovers you may have in MGM’s unique and convenient lazy river, it is ideal! 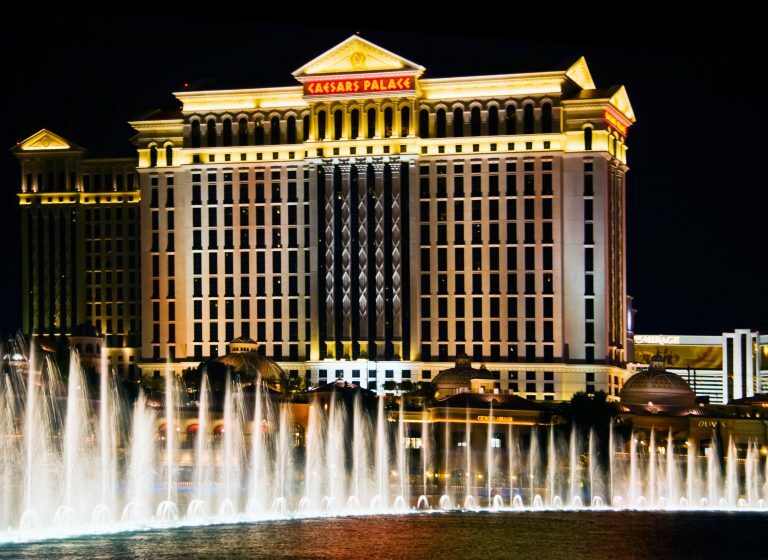 One of the long standing and most well known hotel casinos in Las Vegas, is home to a variety of eye popping amenities and next level entertainment. The Shopping Wonder of the World, aka The Forum Shoppes, is the premier luxury shopping experience you do not want to miss. Shows like the colorful, vibrant, and risque Absinthe keeps tourists and locals alike coming back for more. After an afternoon of shopping, a top-rated show, and a variety of pre game drinks, it’s time to move the party to Omnia. Voted the World’s Best Club by International Nightlife Association, Omnia will not disappoint! Hands down one of the most unique and awe inspiring hotels on the Las Vegas strip. The Cosmo boasts nightlife infused dining experiences unlike anything you have ever witnessed, along with casual dining worth checking out. Stay in spacious and inviting rooms that have the intimacy of a private residence, while you enjoy a view in the heart of the Las Vegas strip. Choose from three completely different pool experiences, each equipped with unparalleled service, amenities, and views. The Cosmopolitan has raised the bar for nightlife entertainment and rooftop parties with Marquee nightclub and dayclub, home to some the largest Dj’s and celebrity performers in the world. If you plan on booking your stay at any one of these notable properties, call Vegas Party VIP today and take advantage of discounted rates. Discounts can range from 10% up to 50% off, and often times beat most discount reservation sites. Let the experts handle the details of your memorable, and epic getaway. Call us today!